The definition of evolution is a change in a population of a species over time. There are many different ways that evolution can happen in a population including both artificial selection and natural selection. 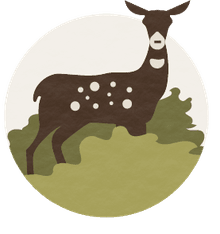 The evolutionary path a species takes can also differ depending on the environment and other biological factors. One of these paths of macroevolution is called divergent evolution. In divergent evolution, a single species interbreeds, either through natural means or artificially chosen traits and selective breeding, and then that species begins to branch off and become a different species. Over time as the two new different species continues to evolve, they become less and less similar. In other words, they have diverged. Divergent evolution is a type of macroevolution that creates more diversity in species in the biosphere. Sometimes, divergent evolution occurs through chance happenings over time. Other cases of divergent evolution become necessary for survival in a changing environment. Some circumstances that can drive divergent evolution include natural disasters like volcanoes, weather phenomena, the spread of disease, or an overall climate change in an area in which the species lives. These changes make it necessary for the species to adapt and change in order to survive. Natural selection will "select" the trait that is more beneficial for the species' survival. The term adaptive radiation is also sometimes used interchangeably with divergent evolution. However, most science textbooks agree that adaptive radiation is focused more on the microevolution of a rapidly reproducing population. Adaptive radiation may lead to divergent evolution over time as the new species become less similar, or diverge, in different directions on the tree of life. While it is a very fast type of speciation, divergent evolution generally takes more time. Once a species has diverged via adaptive radiation or another microevolutionary process, divergent evolution will occur more quickly if there is some sort of physical barrier or a reproductive or biological difference that keeps the populations from interbreeding once again. Over time, significant differences and adaptations can add up and make it impossible for the populations to ever interbreed again. This may be caused by a change in chromosome number or as simple as incompatible reproduction cycles. 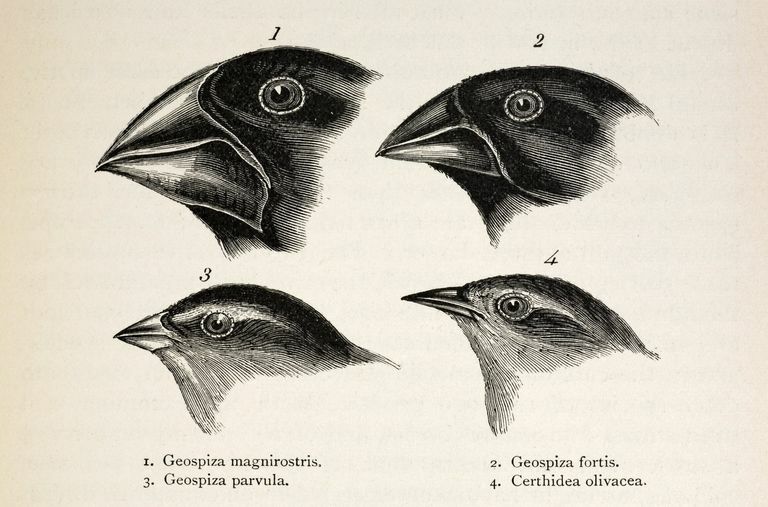 An example of adaptive radiation that led to divergent evolution is Charles Darwin's finches. Even though their overall appearances seemed to be similar and were clearly descendants of the same common ancestor, they did have different beak shapes and were no longer able to interbreed in nature. This lack of interbreeding and the different niches the finches had filled on the Galapagos Islands led the populations to become less and less similar over time. Perhaps an even more illustrative example of divergent evolution in the history of life on Earth is the forelimbs of mammals. Even though whales, cats, humans, and bats all are very different morphologically and in the niches they fill in their environments, the bones of the forelimbs of these different species are a great example of divergent evolution. Whales, cats, humans, and bats clearly cannot interbreed and are very different species, but the similar bone structure in the forelimbs indicate they once diverged from a common ancestor. Mammals are an example of divergent evolution because they became very dissimilar over a long period of time, yet still retain similar structures that indicate they are related somewhere on the tree of life. The diversity of species on Earth has increased over time, not counting the periods in the history of life where mass extinctions occurred. This is, in part, a direct result of adaptive radiation and also divergent evolution. Divergent evolution continues to work on the current species on Earth and leading to even more macroevolution and speciation. How Do Prezygotic and Postzygotic Isolations Drive Evolution?